Trade shows and exhibitions can be a very effective way for businesses to promote products and services. Snap Display Solutions will make you stand out with our innovative and eye catching designs. Our modular display units come in a range of sizes and options, so you can pick and mix to build an exhibition stand to suit your business needs. Display items range from large scale pieces to singular pieces which can replace your current pull up banners. 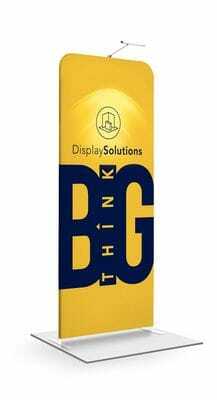 All the display stands are easy to use, lightweight, and have the benefit of interchangeable graphics, that provides a cost effective option to keeping your brand up to date with your latest marketing messages. To do this we ask you to fill out a design brief here. This will help us provide you with a better exhibition experience and maximise the cut- through of your products or services. We understand you are on a tight schedule and budget so let our experienced team of local experts can map out your project, making sure you receive a display solution that best meets your needs within your timeline. Make a spectacle of yourself. Contact your local Snap Centre today.